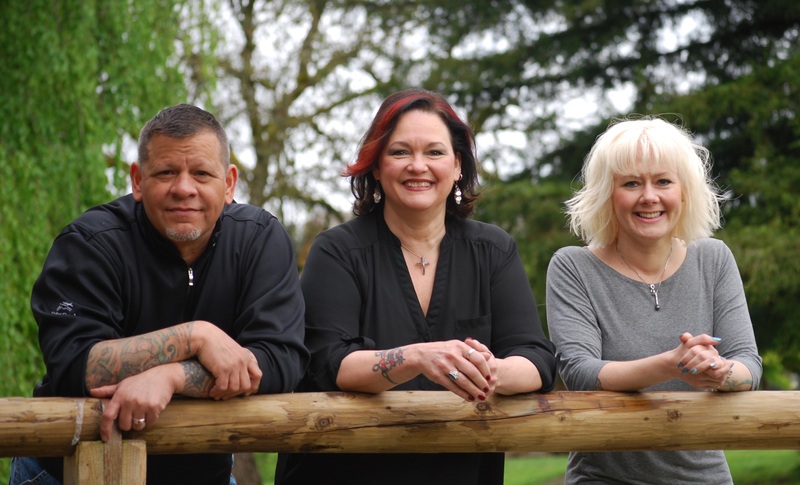 Blades Hair is an intimate, progressive hair studio near Bridgeport Village in Tualatin Oregon. Established in 1991, Blades Hair was originally located on NW 21st Avenue in Portland and still maintains the same staff and quality of services so many have come to rely upon for creating beautiful hair and nails. Our original intention was to create an upscale, quality hair salon with the old-time beauty parlor atmosphere, where you can come as you are, enjoy your visit with us, and leave feeling gorgeous. We welcome new and longtime clients of all ages in a friendly, non-‘snobby’ environment. We are known for our team approach	to your beauty needs, allowing you to relax and enjoy your time with us. Our nail services are comprehensive and beautiful. You can rest assured that only the best products are used and the highest level of care is provided for your enjoyment. Gwen has been in her industry for over 20 years which allows you to have the best	possible result. We work with you to achieve a hairstyle and color to complement your skin tone, facial shape, body type and personal style, giving you a look that fits your active lifestyle and is easy to maintain at home. Bring your ideas and let us create a fresh look for you in a collaborative setting. © 2019 Blades Hair LLC • Design and hosting by mjslabs.